Call 07737997661 to book your lessons! Call on 07737997661 to book your lessons! Re.ward driving school offers affordable driving lessons in the Gateshead, Newcastle and surrounding areas. The driving school is highly recommended by the numerous people both young and not so young who have passed their test with us. 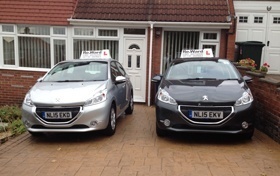 A family run business with a strong emphasis on passing your driving test with all the required tools.